I have a strong preference for locally made products and with that in mind, I’ve got a couple of posts coming out this month that focus on local producers making beautifully crafted skin care products. The first of these is Rain, one of my perennial local favourites. I received products from their “Bee Essential Remedies” range that harnesses the active properties of honey that have been associated with beauty and skincare for thousands of years. 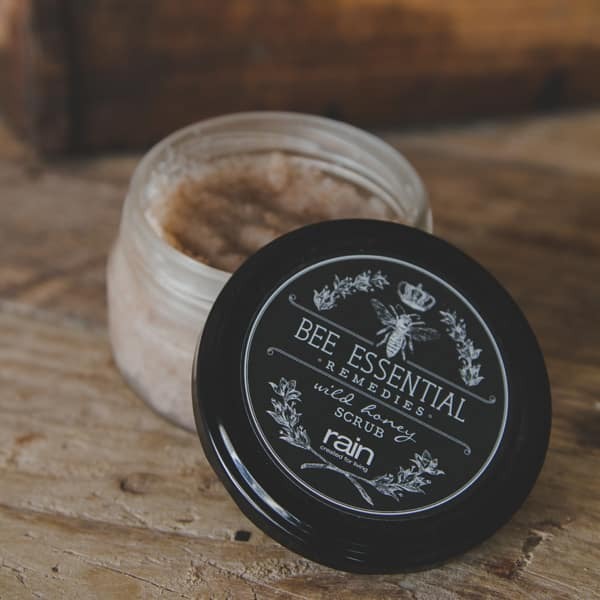 Rain’s Bee Essentials range harnesses the active properties of honey as well as propolis and beeswax. Honey is packed full of good things including vitamins B and C as well as a range of essential minerals. Moisturising beeswax forms the base of most of the products in the range and propolis has powerful antimicrobial and antibacterial properties. 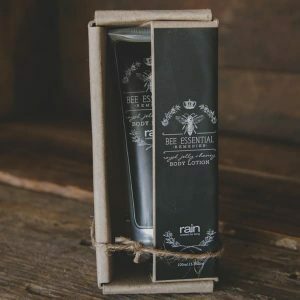 The Bee Essential Remedies Royal Jelly & Honey Body Lotion is my favourite of the products I tried, containing Royal Jelly it is nutrient rich (containing 134 nutrients including essential amino acids, minerals and vitamins). As a result it’s fantastic for anti-ageing and is a luxurious moisturising lotion. I tried the Bee Essential Remedies Honey Scrub, it has a nice coarse grain that is very effective at removing dry skin (the bane of my winter existence) and smells incredible. It’s made from Sweet Almond Oil, Honey and Honey Bush, these ingredients work together to create a product that is leaves skin feeling smooth as well as offering wound healing properties as well as being anti-fungal and antimicrobial. 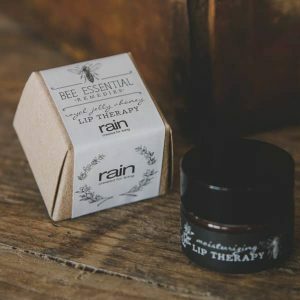 The Bee Essential Remedies Lip Therapy is a great investment, it’s thick and moisturising and you only need to spread the tiniest amount on your lips. I liked that the smell is quite neutral. To make the lip therapy Rain have used natural moisturisers including Olive Oil, Coconut Oil, Beeswax, Evening Primrose Oil, Calendula Oil and Honey. 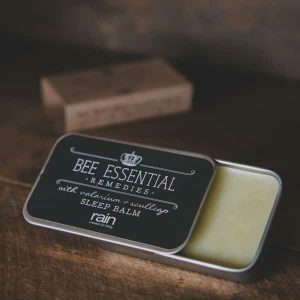 The last product I tried was very interesting, the Bee Essential Remedies Sleep Balm is applied to your pulse points before bed. It contains a variety of ingredients known to promote sleep including valerian, hops and lavender oil. It smells fantastic and my husband, a notoriously bad sleeper, has loves using it and it definitely makes him calmer! I love this range, next time you’re in a Rain store, do yourself a favour and test it for yourself!